The acting chairman of Economic and Financial Crimes Commission, EFCC, Mr Ibrahim Magu was among the top police officers that the Police Service Commission, PSC on Friday, approved promotion. Magu was promoted from the position of the deputy commissioner to full commissioner of police, PSC said in a statement made available to newsmen by its head of press and public relations, Mr. Ikechukwu Ani. 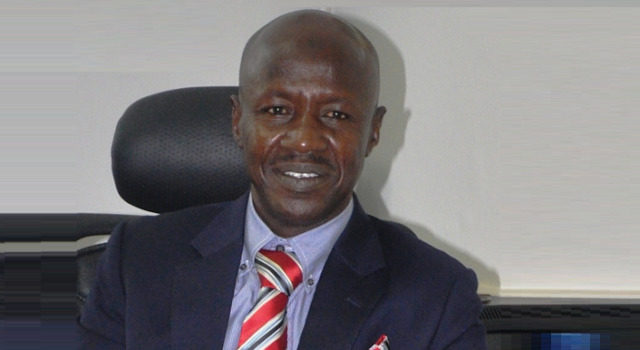 He added in the statement that 17 other officers were promoted alongside the EFCC boss. The statement reads: The Commission approved the promotion of AIG Agbola Oshodi-Glover in charge of Zone 11, Osogbo, to the next rank of a Deputy Inspector General of Police while CP Ghazzali Mohammed, Commissioner of Police, Administration, DLS, Force Headquarters and CP Peace Ibekwe Abdallah, former Commissioner of Police, Ebonyi State Command and currently, CP, Force Intelligence Bureau, Force Headquarters were promoted to Assistant Inspector General of Police.